Do you spend too much time searching for the best carriers and rates for your freight? What if you could compare less-than-truckload (LTL) rates, book, and track your ltl freight all in one place? With our cutting-edge transportation management system (TMS), you get a complete cloud-based logistics management system all in one. From LTL freight shipping rates to document generation and tracking shipments, when you entrust your company’s freight to BGI you get unparalleled convenience, control, and cost savings for domestic LTL shipping. BGI has partnered with the nation’s best freight carriers to provide competitive shipping rates and a wide variety of LTL trucking services throughout the U.S., Canada, and Mexico. BGI Worldwide has partnered with some of the best LTL freight carriers nationwide and negotiated the best possible rates. We offer customized tools for you to easily streamline and manage the LTL shipping process with features like instant rates, centralized access to your documentation, and shipment history. Our instant quoting tool lets you choose the best carrier for each shipment by providing transit time along with the shipping rates. BGI keeps you in sync with your shipping status and monitors where your freight is at all times. We offer direct online access to get instant LTL freight rates via our 3PL transportation management system. Damage and loss claims in the world of LTL shipping can be a real headache and very time consuming to logistics managers and coordinators alike. 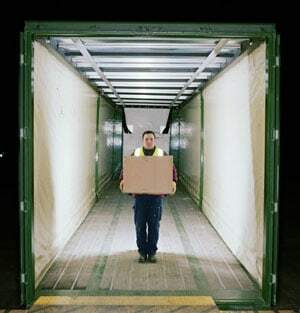 On both inbound and outbound shipping, there are a number of ways you can reduce these risks and help keep freight claims to a minimum. Here are some highlights to help reduce the possibility of dealing with a claim. Ensure that your product is packaged correctly, and it is carefully palletized and shrinkwrapped. Find a trustworthy carrier with a proven track record and a customer service team that you can depend on for timely reporting and communication. LTL freight rates are based on The National Motor Freight Classification (NMFC) standard, differing from the way other freight transportation costs are calculated. All commodities fall into 1 of 18 classes between a low of 50 to a high of 500. Classifying LTL freight incorrectly can be costly. If you are unsure how to classify your freight our experienced specialists are standing by to provide you with any assistance you might need.